The Madras Motor Racing Track is a circuit that most Indian motorsport fans will be familiar with - after all it has, over the decades, hosted several rounds of the National Racing Championship and every other type of motor racing event that required a circuit. Well, over the past few months though, the MMRT had been closed for renovation. We hear that this has been because the track has been preparing itself to host more international races. And they've managed to get the track up and running just in time. 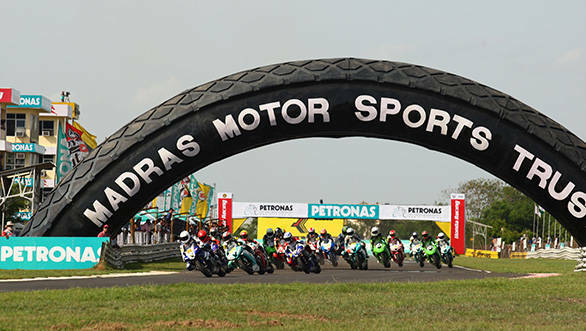 For the uninitiated, the Asian Road Racing Championship (ARRC) is one of Asia's premier motorcycling championships. 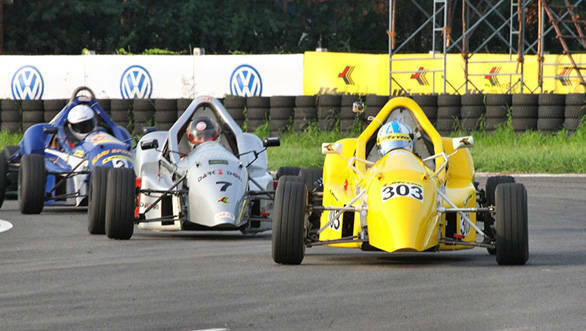 And the Madras Motor Racing Track is no stranger to this event, having played host to it in 2009, 2010 and 2011. Last year, however, the ARRC had to skip coming down to India because of those renovations that we mentioned earlier. Renovations that mean that the ARRC's India round could well be a more successful event than its past iterations. This year, the championship will feature three categories  the Underbone 115cc class, the mid-level Asia Dream Cup and the premier SuperSports 600cc category. Other than the fact that these classes all produce quality racing with some epic battles thrown in for good measure, is the fact that if you want to watch the races, you can do so for free. There are no tickets being sold to the event, all you have to do is show up at the track and cheer your favourite rider on. Don't be a hooligan though  we're sure the MMRT's formidable security will toss you right out if you are! Well, it doesn't seem to matter that the word 'national' has vanished from the JK Tyre Racing Championship. JK Tyre is still going all guns blazing when it comes to their new breakaway championship. The championship will feature the Formula LGB single seaters and Volkswagen Polo R Cup cars. But there are surprises lined up as well - the championship will also feature special races featuring Race Ventos. While the entire calendar hasn't been confirmed yet, what has been confirmed is that the opening round will be held between July 19 and 21 at the Kari Motor Speedway, Coimbatore. An added treat will be a street race at Srinagar. Speaking to OVERDRIVE, JK Tyre stated that the Srinagar Race, tentatively planned for mid-October, is currently in the planning stages. The location is currently being surveyed for safety features and feasibility, after which logistics and permissions will be looked at.